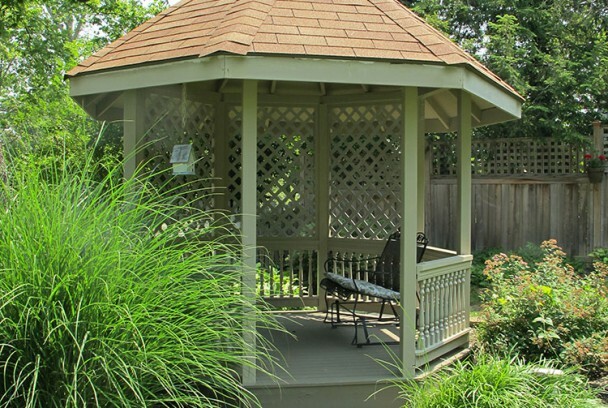 This gazebo, having sentimental value to the client, was structurally unsafe and in need of repair. We added structural corner supports to the post and roof connections, replaced the floor joists, flooring, lattice, built new custom made railings. To help hold the cost down we were able to salvage many of the old balusters and the homeowner did the painting.